NORTH SYDNEY FAMILY HISTORY GROUP: GENEALOGY AND GENES; WHO ARE WE REALLY? Are we really who we think we are? This question we can ask ourselves on many different levels. For genealogy the question is how much of our family tree really matches our true genetic makeup. Family trees are based on written documentary evidence, pieces of paper that record what our ancestors said. They say who the parents of a child were; who the children of two parents are. They are not necessarily true. Sometimes mistakes happen and sometimes ancestors lie. We all have within us a mixture of genes from different countries and different races. Human history has many examples of one group of people displacing another. When boatloads of British colonists arrived in Port Jackson New South Wales in 1788 the native Eora people, of the Sydney basin, and their culture were wiped out. Or were they? Have the genes of the displaced people been destroyed or absorbed into the bodies of the group of people who displaced them. Is there an Eora person inside of you looking out and reading this? White Australians, who have an ancestry that goes back to the beginnings of settlement, often have an Aboriginal ancestor that they don’t know they have. This is also true for white Americans , Canadians and New Zealanders. It’s hard to estimate how many do. For Americans that could be an African or Native American ‘Indian’ ancestor. I read a study recently that estimated that 30% of white Americans have a ‘black’ ancestor. The reason that the other 70% don’t is because their ancestors arrived in the US in the late 19th and early 20th centuries. Of the Americans who can trace their ancestry back to the 1600s, many do have a ‘black’ ancestor. I can say I am one of them. My G, G, G, G, Grandfather was Levi Webster (abt 1782-after 1870), a farmer who in 1870 was living in Plymouth, Vermont. On the 1860 US census form Levi and his wife Rebecca have a ‘B’ in the box next to their names indicating they were ‘black’. There are other members of the Webster family in this census. Levi’s son, and my ancestor Nathaniel (Handel) Webster also a farmer living in Plymouth has an ‘M’ next to his name, as do his wife and four children indicating they were mulatto or mixed race. Levi’s son Sheridan Webster and his wife Mary, also farmers in Plymouth have a ‘B’ next to their names as does Isabelle Webster who lived next door. What is interesting about this is that on no other document at any time are any of the Webster family marked as being ‘black’ or ‘mulatto’. Levi Webster appears on many census forms from 1820 to 1870. His son Nathaniel Webster appears on census forms from 1850 to 1880. 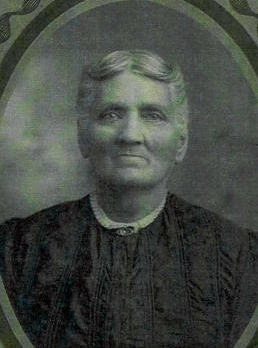 Our family only has one photo of one member of the Webster family, Adeline Webster who was Levi’s granddaughter through his son Nathaniel. She was married at the time and living nearby in Mendon Vermont. She is ‘white’ on the census form. It was done by a different enumerator. Is Adeline ‘mulatto’ like the rest of her siblings and parents or is she white. Judge for yourself. In the United States to be a ‘black’ person meant that you had all or some African ancestry. There was, what was colloquially called ‘The One Drop Rule’. If you had one drop of African blood you were not white. You were a person of colour. You were ‘black’. There were no genetic tests back then so it really meant if you looked as if you had ‘One Drop’ of African blood in you, you were ‘black’. If today’s genetic tests had been available back then, by the One Drop Rule, a huge number of ‘white’ Americans should have been slaves. Why were the Webster family recorded as being people ‘of colour’ in the 1860 census but nowhere else? Could this have been the result of a grudge the enumerator had towards the Websters? Or possibly overzealousness by someone who, living in Vermont, had probably not seen many ‘black’ people. There must have been something there that that enumerator saw. What was he seeing? One drop, or more? Why were Levi and his wife Rebecca both recorded as ‘black’ when one of their children was ‘mulatto’? You would think that a ‘mulatto’ child would not have had two ‘black’ parents . If the enumerator had recorded a mixed race couple would he have been recording a crime? Most US states had laws preventing interracial marriage. Vermont was though one of the few that didn’t. In 1924 the State of Virginia passed the Racial Integrity Act which required every child to be recorded at birth as either white or coloured and prohibited marriage between these two groups. This act classed Native American ‘Indians’ as people of colour. The problem with this Act which formalised the One Drop Rule, was that many prominent white Virginian families could trace their ancestry back to a Native American. That is none other than Pocahontas, the daughter of an ‘Indian’ chief. 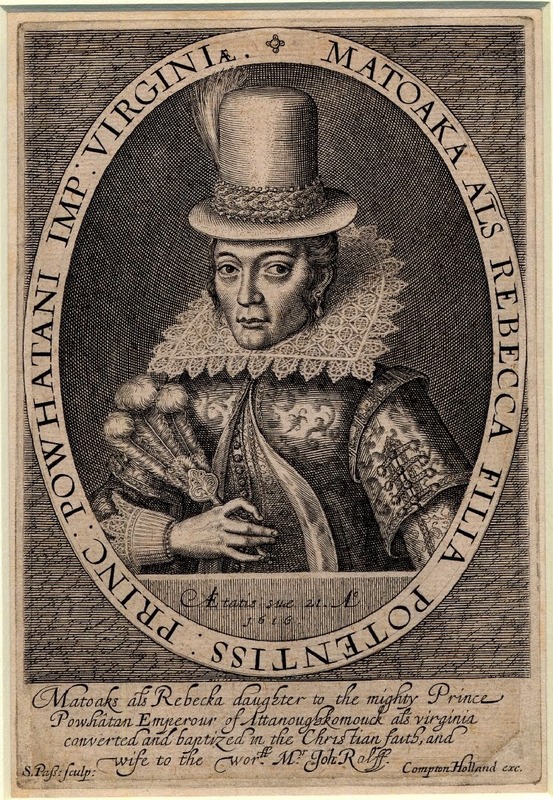 Pocahontas was an important historical figure. She was legally married to a white settler and went on a well-documented trip to England to meet the Queen. Her descendants were also well-documented, many of them were prominent Virginians. This couldn’t be hidden or denied. The Racial Integrity Act was amended. The amendment was colloquially called the ‘Pocahontas Exception’. I can imagine a group of old Virginian white men sitting on the verandah of their antebellum mansion, sipping their mint juleps, on a warm evening as the moon lit up the fields of tobacco plants nearby. The only sound to be heard would be of a cat walking across a hot tin roof nearby. One would say, “Hey, Billy Ray, has anyone ever told you that you have a fairly dark and swarthy complexion? Why would that be Billy Ray?”, ‘I guess that would be because of Pocahontas, Big Daddy.’ ‘Sure enough, I guess there’s a bit of Pocahontas in all of us.’ chuckle, chuckle, chuckle. The removal of the last laws prohibiting interracial marriage in the remaining 16 US states that had them came on June 12th 1967. The anniversary of this event is celebrated annually on Loving Day. 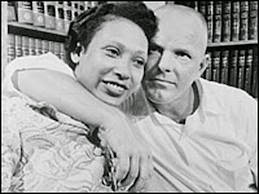 A day named for both what we hope is the true basis of a marriage and for the interracial couple who took the State of Virginia to the Supreme Court and had the miscegenation laws overturned, Mildred and Richard Loving. Do I, like so many other ‘white’ people, have a black ancestor without looking like I do?? I think it’s likely. The only way to be sure is by genetic testing. The problem is that even if the test says I have that ‘One Drop’ it won’t tell me with any certainty where that one drop comes from in my family tree. I won’t know if it was the Websters or if another ancestor was lying.